Since referendum results night it feels like everything has taken a colossal turn for the worst. Our politicians seem to want to spend more time fighting with themselves to further their own agendas than they do on trying to formulate some kind of plan. So in a bid to ignore all that nonsense for a few minutes, here's to celebrating the things that make a difference in daily life, however small or silly they seem. I've been operating with the most basic Nokia phone that a crisp £20 note can buy for a while now and it did its job wonderfully. It rang when someone called and it beeped when someone sent me a text. It also had snake, which will probably always be the best phone game because, nostalgia! Adult life however has hit me square in the face and I need something that helps me to organise things better. Honestly though, I'm mostly just relieved to have the maps app because getting lost is rarely a fun experience. So far I have three different cases for it. Got to have a bit of variety, right? I thought I would like this one from Caseology the most because, well, it's blue. It was my favourite until it got stuck on my phone and left a little scratch behind when I finally managed to get it off. The scratch doesn't really bother me, but I'm not going to put that case back on again. 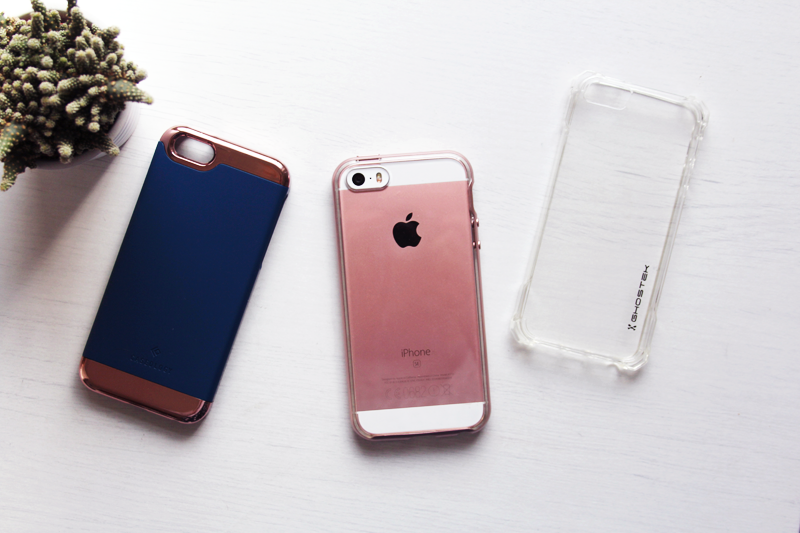 This clear Ghostek case and the rose gold case I'm currently using are both great. I love their simplicity and they're not completely impossible to take off. Adele at Glastonbury. Well, actually just the BBC coverage of Glastonbury in general. We watch it every year and we're always impressed. You all know how much I love Adele. Her ability to captivate an audience with her beautiful voice and first class banter is incredible, and being able to see her performance without having to stand in a couple of inches of mud was a bonus. My new basil plant has been making me very happy. I'm really quite useless when it comes to keeping plants alive, but I'm trying my very best to keep Basil as happy as possible. My usual uniform is all black everything, all the time. With the sun making an appearance occasionally this summer and after finding this beautiful blouse in TK Maxx a few weeks ago, I've gone a little off brand. Not too off brand though, because I've been pairing it with black jeans. One step at a time, you know? Beatrix's new favourite thing is to tunnel underneath almost everything. 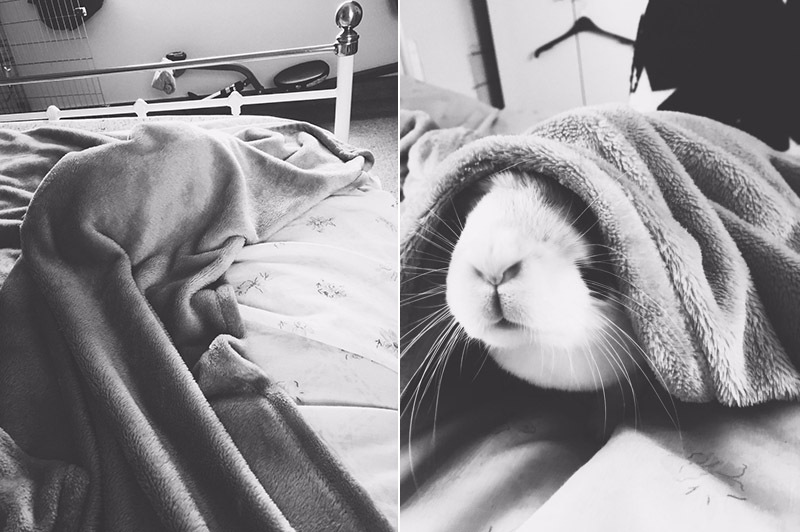 I've been leaving blankets piled up in various places around the house, sometimes with treats hidden inside, for her and she loves it. She's an expert in sniffing out treats and at this point I'm pretty sure she's smarter than me! Happy weekend! What's been making you happy recently? I love the rose gold iphone, but mine has a few years left in it yet so I haven't an excuse to buy one! Isn't it nice to see your plant blossom and thrive? My sunflower already is blossoming! :) I'm so happy. Beatrix is an absolute babe - what a cutie. I feel you on the EU. I can't believe it's only been a week and I'm still struggling to accept it. Keep thinking its only a bad dream! It almost doesn't feel real! Beatrix is so beautiful. 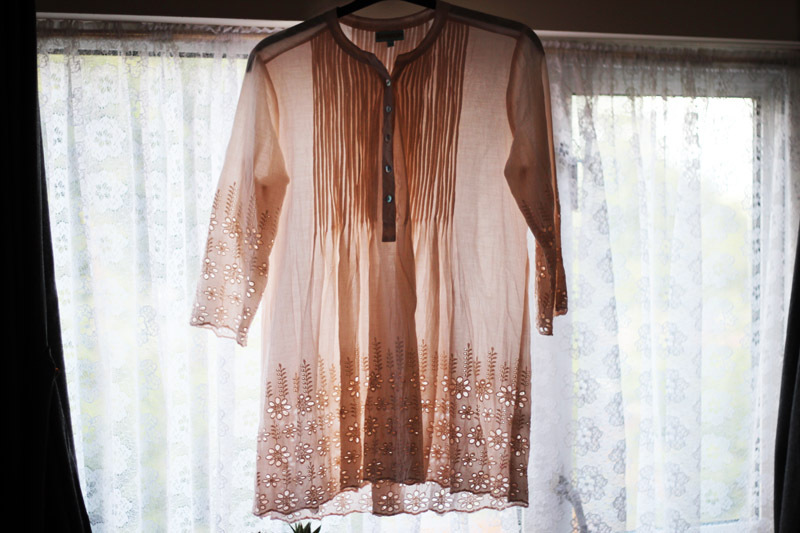 The top/blouse you have chosen looks lovely. Perfect for a gentle splash of colour for summer! Oh Beatrix is such a cutie! 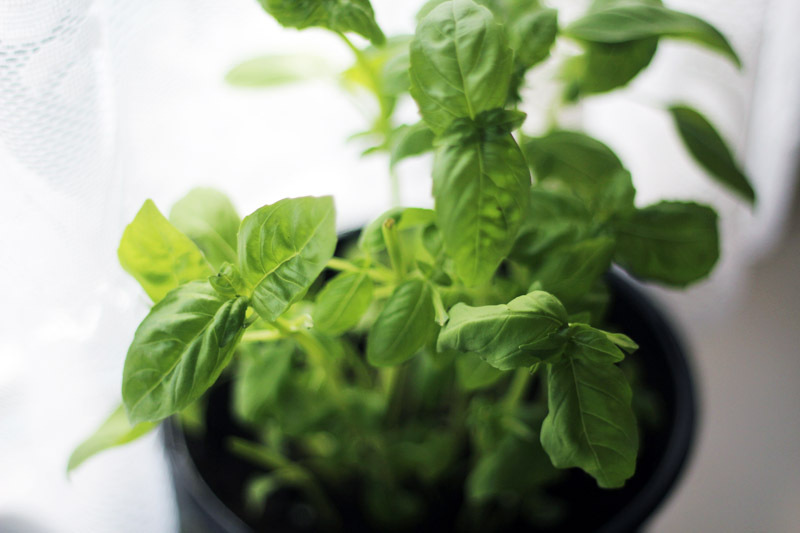 We've got a basil plant too and I love using it when I'm cooking - it really makes me want to grow more herbs. Also, that blouse is beautiful. I'm obsessed with blush pink right now! I'm not a fan of most herbs, but I love basil in almost everything! The simple things are usually the good things that makes life happy and at ease! Look at that bunny nose! Squee! I haven't ever been a small person. The Process of Decluttering: Blush + Bronzer.